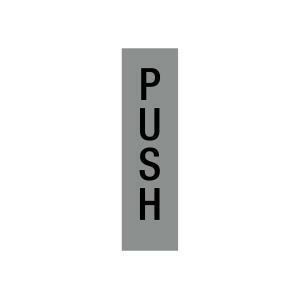 The Apli 'PUSH' sign can be used to mark the direction a door opens. It is self-adhesive and ensures an easy, mess-free application. This sign readily adheres to most surfaces, and is ideal for retail stores, restaurants and more.